The Pine is a favorite Five Points neighborhood dinning spot. A perfect spot to gather with friends, colleagues or enjoy a date night for brunch, lunch and dinner. The Pine’s southern inspired dishes are influenced with global flavors using fresh local seasonal ingredients. Most dishes are baked in their handmade 100% wood-fired oven. Daily house-made pasta and burger specials, Sunday biscuit brunch, Special Monday night dinners, 3rdWednesday wine tastings and it’s close proximity to the stadium, makes The Pine a true gem. The Pine is SP2 Hospitality’s flagship restaurant. The Root is nestled downstairs from The Pine, in Five Points. 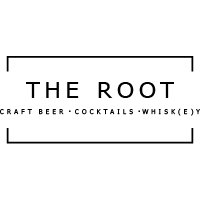 Handcrafted seasonal cocktails, local craft beer, limited release and premium whiskey choices are not the only things to love about The Root. Young professionals and local neighbors can enjoy pub games and big screen TVs. Hand painted walls, locally crafted tabletops and seating areas transform this basement bar into a cozy room for everyone to kick back and enjoy. Don’t miss Monday Classic Comfort Food, Wednesday Ladies Night and Service Industry Sunday. The Root is SP2 Hospitality’s signature bar. 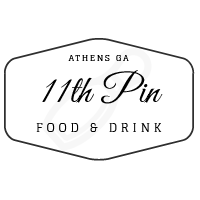 11th Pin Food & Drink is located inside iconic Showtime Bowl. Their menu is stacked with American classics. Nothing goes better with bowling than ice-cold tall boys, select craft brew and canned wine. 11the Pin also offers group sized portions and catering for birthday parties, corporate events and more. 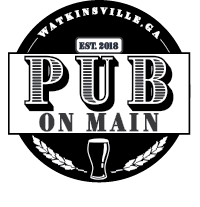 Pub on Main is a lively modern American neighborhood pub located in the heart of Watkinsville. Ingredients are sourced from local producers and regional farms. Pub on Main’s substantial patio is a focal point. Large locally crafted picnic tables and outdoor games brings a communal vibe. Fresh seasonal cocktails, extensive unique spirits menu, and local beer selection, with a great outdoor space and game room, makes Pub on Main perfect for families and the kid in all of us.